Bridges Career Development Academy is a Vocational/Educational School site for Wards of the Court who are between the ages of 16 – 19 years old. Bridges Academy is a collaborative effort between the Kern County Probation Department and the Kern County Superintendent of Schools Office. In addition to providing a safe, structured school environment, the program also provides mental health and substance abuse services. Each Bridges student is placed on an individual educational track to assist him/her in obtaining a high school diploma, GED, or certificate of Completion while securing vocational training and employment. 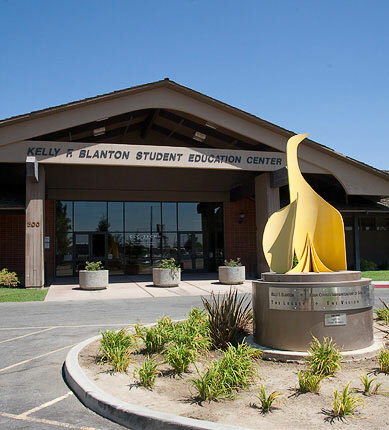 Blanton Academy is both a Court ordered and Probation referred school site for wards of the Court between the ages of 12 to 18 who are struggling in a traditional school. This program, which is operated in conjunction with the Kern County Superintendent of Schools Office, provides supervision, mental health services and substance abuse intervention. The North Kern Community School is a collaborative effort between the Kern County Superintendent of Schools and the Kern County Probation Department at the regional site located in Delano, CA. Structured as an intensive supervision model, the program consists of alternative education based on everyday attendance with an after school component in place to provide enrichment and community service activities to address the needs of participants currently on probationary status.